Know Jesus. Change the World. Our purpose in this diocese is to know Jesus and change the world. Together we do that by proclaiming the Gospel; empowering our churches; and addressing the pain and poverty of the world. 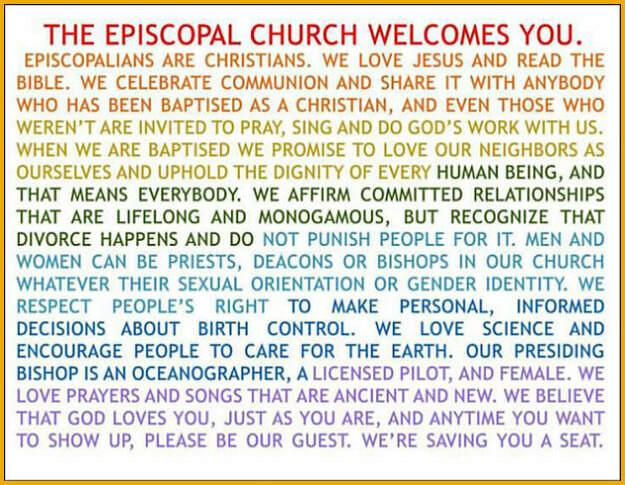 The Episcopal Diocese of Pennsylvania has an extraordinary history. When people think of our Diocese, they think of the birth of the Church, the founding of our Country, William White, Absalom Jones, the Philadelphia 11, justice, prayer. We are innovative, resourceful and faithful. We have the gifts, resources, people and hope to change the world. Let’s make history together. Dinner Church in November was held at St. Paul's Episcopal Church in Chestnut Hill. Over 40 youth and adults from 6 parishes came together to share fellowship, conversation, a wonderful Thanksgiving Banquet, and ended with a Eucharist. We will post photos as soon as they are available. Dinner church attendance is growing. A little over a year ago, we began Dinner Church with 10 youth and adults! Our next Dinner Church will take place on December 16th at St. Matthew's Episcopal Church, 919 Tennis Ave, Maple Glen, PA 19002.